Southern Adventist University is a welcoming community of learners with a vibrant spiritual atmosphere rooted in a rich tradition of upholding Christian beliefs. 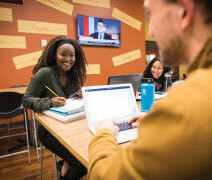 Southern also offers graduate degrees in the following areas of study: Business, Computing, Counseling, Education, Global Community Development, Nursing, Religion, and Social Work. Founded in 1892, Southern Adventist University consistently nurtures students to grow both academically and spiritually. Currently recognized as the largest Seventh-day Adventist undergraduate institution in North America, Southern offers more than 100 majors. Our dedicated faculty and staff strive to equip students for the world into which they are graduating—a world with fluid job markets and a fast-changing global economy. Every year since 2002, Southern has received a Top Tier ranking in U.S. News & World Report’s “Best Colleges” guide. Southern remains committed to preparing students for a calling, a career, and a saving relationship with Jesus Christ. While Nursing and Business may be two of the most popular majors on campus, there are endless possibilities, including new programs such as Physical Therapist Assistant and Political Science. If you feel God calling you toward a specific career, Southern most likely offers the courses necessary to help get you started down that path. Our professors are more than simply teachers; they’re mentors and spiritual leaders as well. Call them smart. Call them cutting edge. And before long, you’ll likely grow to call them friends. 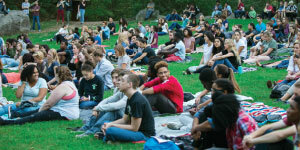 The best way to see what makes Southern unique is to visit our beautiful campus and experience University life for yourself. During your visit, you will receive a guided tour, meet with faculty to learn more about our academic programs, and speak with a counselor about the admission process, scholarships, and financial aid. 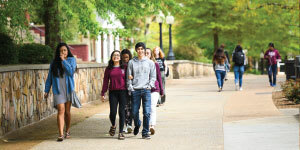 You can schedule a campus visit at southern.edu/visit. We know during your visit you will see the difference at Southern, where we’re not just qualifying graduates for a career but preparing them for a lifetime of service to others.